Hmm ... 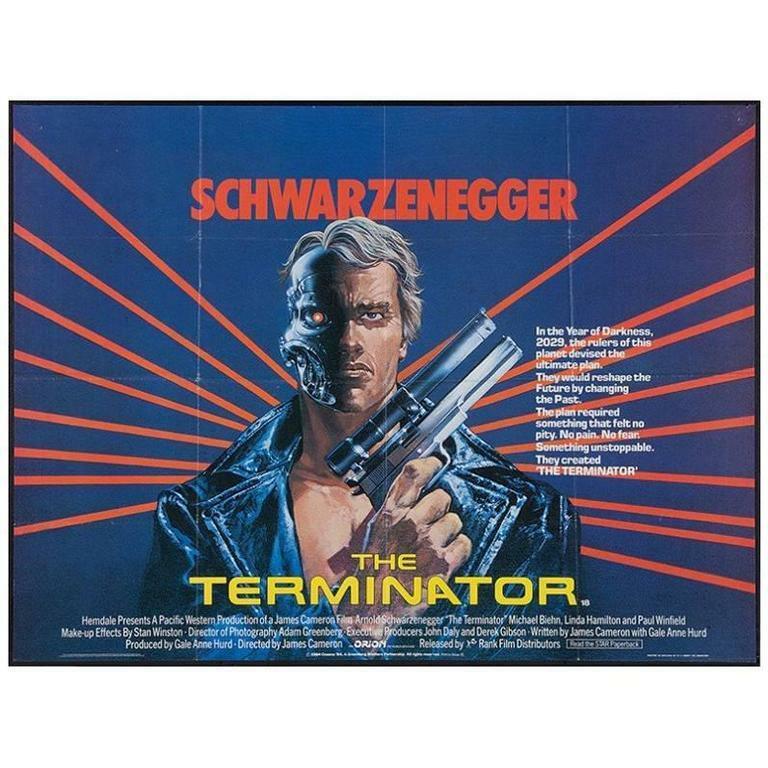 I recall that the poster for the original movie showed Arnold with severe battle damage (Flesh blown off and part of the metal endoskelton's skull showing around one of his red optical sensors) ... Please wait ... Searching ... Target acquired! Maybe the marketers responsible for promoting Terminator Genisys were either lazy or just plain stupid hacks~! Yes. He was transformed into a T-3000. Yeah, a lot of peeps thought that Terminator Genisys was a "Train wreck" since it changed so many things that were already established in the past timeline from the first two movies and invalidated the future timeline that was established in the third movie (Again, the fourth movie could stand on its own as a separate Sci-Fi movie). I won't go into details about what got changed by the fifth movie since it would be a spoiler for you. I did enjoy the new tech that was revealed in Genisys though. True very true. After that fight is when the story takes an insane turn. Diaper loving sub who enjoys being diapered through mind control! games/shows I'm willing to take part in, include.